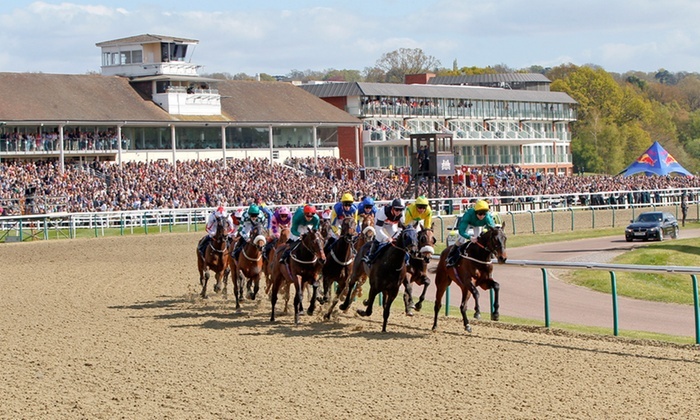 The ITV4 cameras head to Lingfield Park this Good Friday (19th April 2019) to take in SIX races from the lucrative All Weather Championships Meeting – Finals Day – and we’ve got it all covered for you with key stats and free horse racing tips for all seven of the Lingfield races. There are plenty of the power-house flat yards bringing horses to the Surrey venue and it’s no surprise with mouth-watering prize money on offer, including £124k for the winner of the feature race – the Easter Classic All-Weather Middle Distance Championship Conditions Stakes. Like all big race days here at TRAINERS-QUOTES we take a look at all the LIVE races from a trends angle, including the best positive and negative trainer/jockey stats – we hope they help point you in the direction of a few winners! TQ VERDICT: Only two previous runnings to go on here, but with both winners coming from stalls 1-5 there might be a little pattern building up. With that in-mind, Philamundo (1), Raucous (2), Apex King (3), Starlight Romance (4) and Poetic Force (5) might be the ones to focus on. Of that bunch, the Robert Cowell yard do well with their 4+ year-olds here so RAUCOUS catches the eye. The promising Cieren Fallon, who claims 5lbs, has been booked to booked to ride and this 6 year-old heads here in fine form after a good second at Kempton last time out. The other of interest is PHILAMUNDO. This 4 year-old gets in with just 8-9 in weight, while the Spencer yard have a decent 40% record at the track with their 4+ year-olds. TQ VERDICT: The Mark Johnston-trained Watersmeet will be a popular alternative to the hot favourite here – AMADE, but he’s still around 6lbs to find with this promising stayer. Watersmeet has been second and third in this race in the past so another bold bid looks on the cards though. Amade, however, heads here having won his last five, including an easy 3 ½ length success at Chelmsford last month. He’s the clear top-rated in the field and top international jockey Christophe Soumillon been booked to ride. Of the rest, the James Fanshawe team also do well here (25%) so their Higher Power and Lord George are others to note, while with Frankie riding CD winner Grey Britain this one is sure to attract interest too. TQ VERDICT: The William Haggas yard have a 27% record with their older horses at the track so their Island Of Life can’t be ruled out here. Jockey James Doyle, who also has a top 29% record when riding 4+ year-old here, gets the leg-up too. This 5 year-old looks set to go off favourite and after a promising second last time out at Wolverhampton it’s easy to see why – she should go close, with the favourites having been placed in 4 of the last 5 runnings. Castle Hill Cassie and Clon Coulis are others to consider, but draws 11 and 10 won’t make life easy of them over this 7f trip. I’d rather side with RASIMA, who is drawn 2, and CROSSING THE LINE, who comes from stall 3. The first-named is a past course winner over a mile here so we know she stays further than this 7f trip. We can expect connections to make full use of that stamina and providing she can keep tabs on them early on should be staying on well at the death. Crossing The Line hails from stall 3 and horses from that berth have been placed in 4 of the last 5 runnings of this race (2 wins). The Balding yard are in great form too, while barring one poor run at Wolves in Jan has finished in the first two in 7 of her last 8 runs, including twice here at the Surrey venue. TQ VERDICT: If breaking away in his normal speedy fashion then the Tom Dascombe-trained KACHY will be hard to beat. He was runner-up in this race last year but heads here having already had two runs so will be a lot sharper. Both those runs resulted in wins (Wolves and Lingfield), while draw 8 should just about be okay as he’s often so quickly away – he won from this draw over CD last time out too, while 4 of the last 5 winners came from stalls 5-9! Of the others, CD winner – Encrypted – with Ryan Moore riding can also go well but he’s got 6lbs to find with the selection based on the official ratings. With 4 of the last winners coming from stalls 5-9, then Forza Capitano, Royal Birth, Areen Heart and Stone Of Destiny are others that will be trying to uphold that stat. TQ VERDICT: The Archie Watson yard won this race last year and they will be trying to follow-up with Quiet Endeavour, who also represents last year’s winning connections. Draw 2 looks a plus, as do the first-time blinkers so at a nice price and with the yard boasting a decent 20% record with their 3 year-olds at the track, this one is interesting. Deep Intrigue is the only proven CD winner in the field so must be considered too, however, draw 11 is not ideal so it depends how much energy this Mark Johnston runner uses up in the early stages. French raider Pizzicato, with Christophe Soumillon booked to ride, has won two of it’s last three and looks a big challenger. Deputise can go well too, from the William Haggas yard, and despite a 132 day break is sure to be ready to rumble here. However, with the Hugo Palmer team having a decent 21% record with their 3 year-olds at the track their JAMES STREET (e/w) might be worth risking. Ryan Moore is an obvious plus in the saddle too, while the last two winners of this race came from stalls 5 and 6 – James Street is draw in stall 6. It’s possible we can ignore the last run as it was his first at Wolves, but before that he’d been sent off the 5/4 favourite here and was only beaten a length by Deep Intrigue that day, who looks set to go off a lot shorter price here. TQ VERDICT: Quite simply, it will be a shock if the John Gosden runner – WISSACHICKON – isn’t taking this. This 4 year-old is rated 117 and that’s 5lb higher than his nearest rival – Matterhorn. He’s now 4-from-4 over this course and distance after winning the Winter Derby easily last time out back in February and a certain Frankie Dettori riding is the icing on the cake. It will probably be the shock of the meeting if he’s beaten. Court House, who is also trained by Gosden, followed him home last time, but has 3 ¼ lengths to find with his stablemate. Last year’s winner Victory Bond is another to note, but is rated a massive 17lbs lower than the selection – this year’s renewal is a lot hotter. Master The World and Pactolus are others that could hit the frame, but this should be Wissachickon first the rest nowhere. TQ VERDICT: With ALL of the last five winners coming from stalls 5-8 then this looks a good angle into this final race. With that in mind, Glendevon, Indyco, Silver Quartz and Oh This Is Us are the ones in question. Of that quartet, Oh This Is Us is a proven course and distance winner and is the clear top-rated in the field off 113. However, he was very disappointing last time at Wolverhampton, when beaten 7 lengths by Above The Rest, so does need to bounce back. In his defence, the return to Lingfield should help and from three runs here he’s yet to finish out of the top three. The Balding team are going well at the moment so their Straight Right is another to note, while course winners Documenting, Cardsharp, Keyser Soze and Arcanada all have the form to go well. But the call here is GLENDEVON (e/w). We’ve already mentioned he’s drawn well in 5, but he was also a very close second to Crossing The Line, who runs in the 2.30. That was his first run for 115 days, while the step back up in trip looks a big plus. The Richard Hughes yard have been amongst the winners this week too, while jockey Ryan Moore is the final plus in the saddle.